Our new Dreamcatchers fall/winter line revolves around beautiful native American inspired prints featuring dreamcatchers, feathers, and tribal prints! 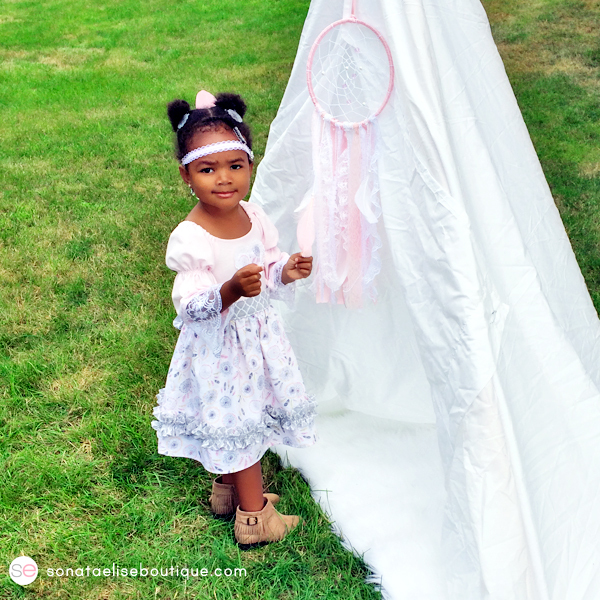 In our photos featuring our Little Dreamer dress, we used a handmade whimsical dreamcatcher prop on the little tepee in the photos. 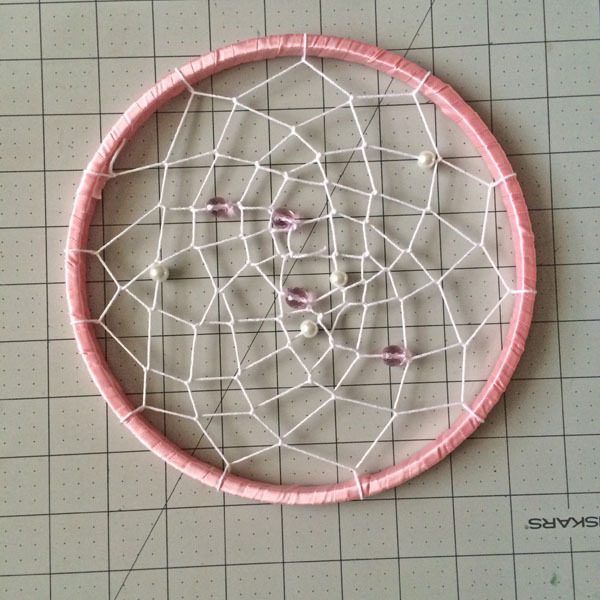 The dreamcatcher was handcrafted in my in-home studio and in today’s tutorial, I will be showing you how to make one of your own! 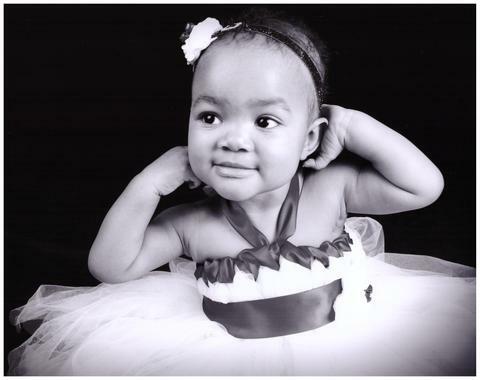 Warning: This post will be very long with tons of photos to help explain the process! 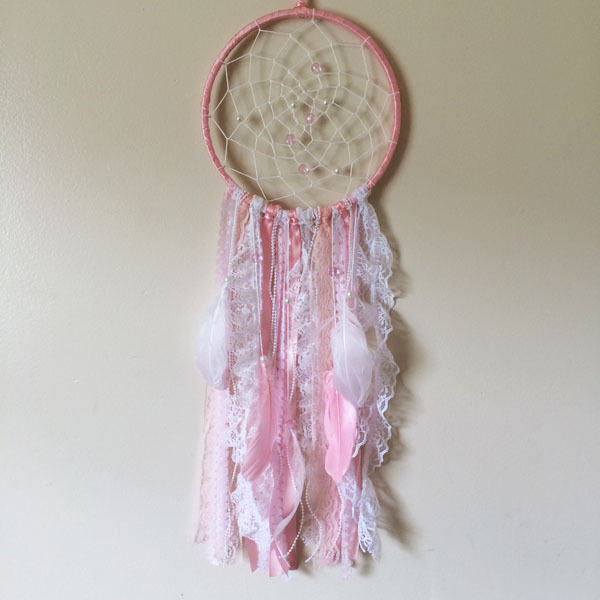 Anything else you want to string onto the dreamcatcher! 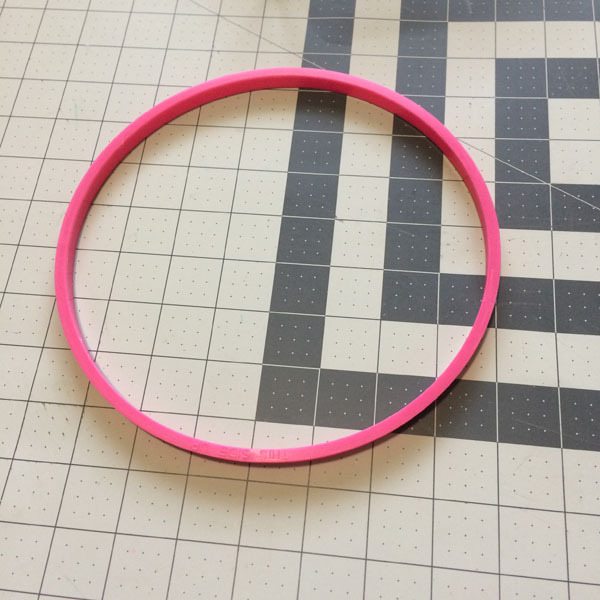 To get started, remove the inner hoop from the embroidery hoop. 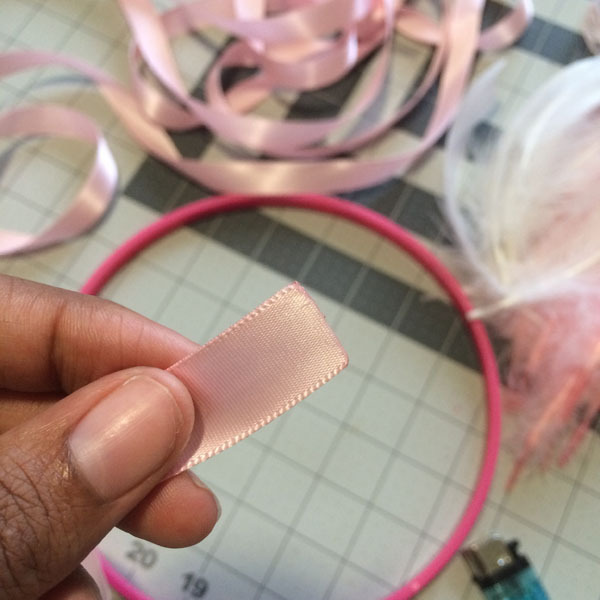 Next, take your ribbon of choice and seal the ends with a lighter to prevent fraying. 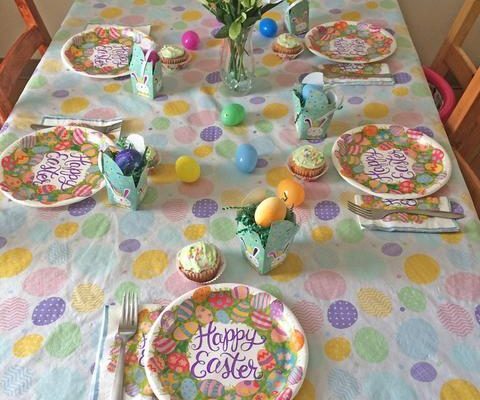 Place a dot of glue on the hoop and attach the sealed end of your ribbon. 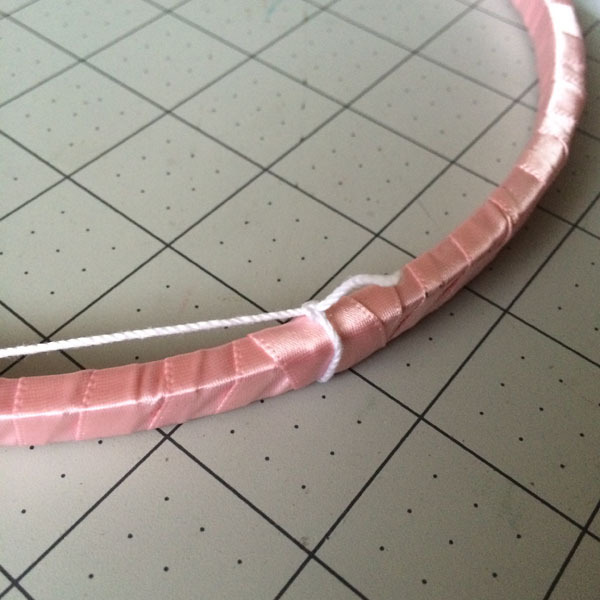 Begin wrapping the ribbon around the hoop nice and tight, overlapping the ribbon a bit as your wrap to ensure none of the hoop shows beneath it. 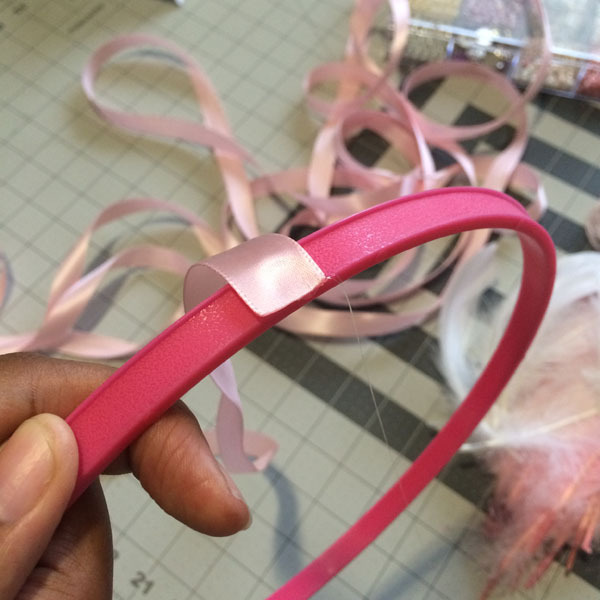 Add a dot of hot glue every few inches to keep the ribbon from unraveling. 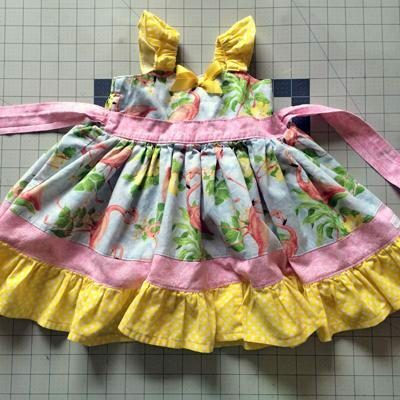 Once you are done cut the end of your ribbon and seal the end with the lighter. 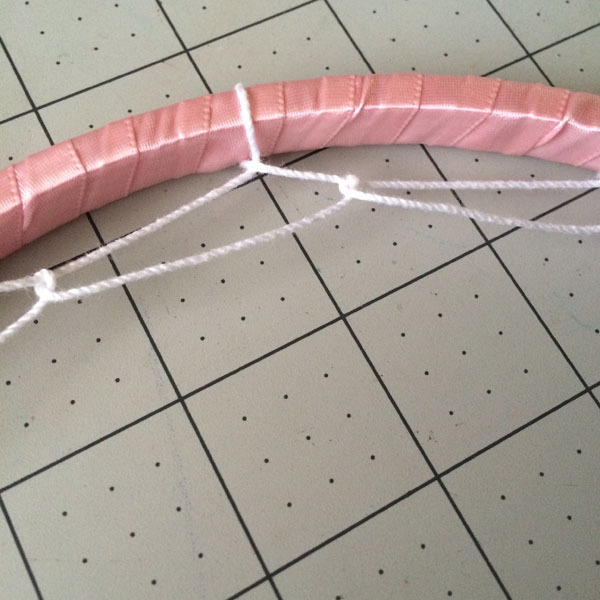 Next glue the ribbon end to the hoop. I glued mine to the inside of the hoop to hide the glued end. Now take a very long piece of string and wrap it around a small piece of cardboard to make it easier to work with (Not pictured. 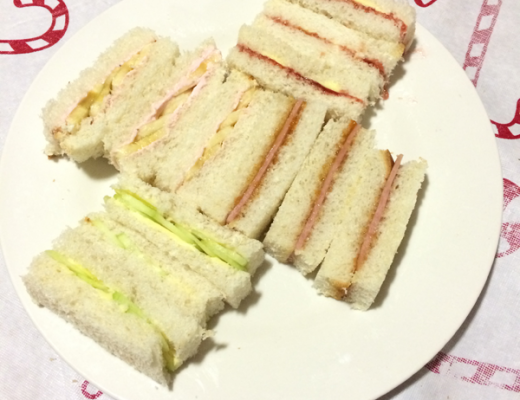 Sorry!). Make sure you use enough to make your web design. This step is optional, but it makes the web process so much easier to do! If you intend on adding beads to your dreamcatcher string your beads onto the string now. Next tie one end of the string to the hoop to start your web. 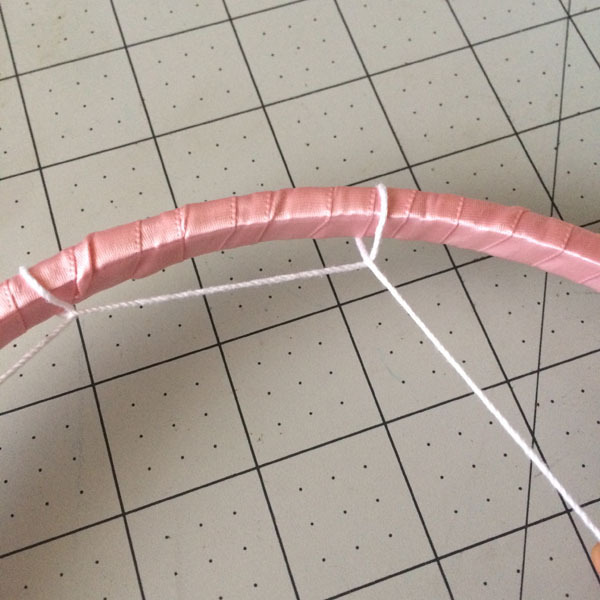 Take the string and wrap it around the hoop about 2 inches from where you tied it. 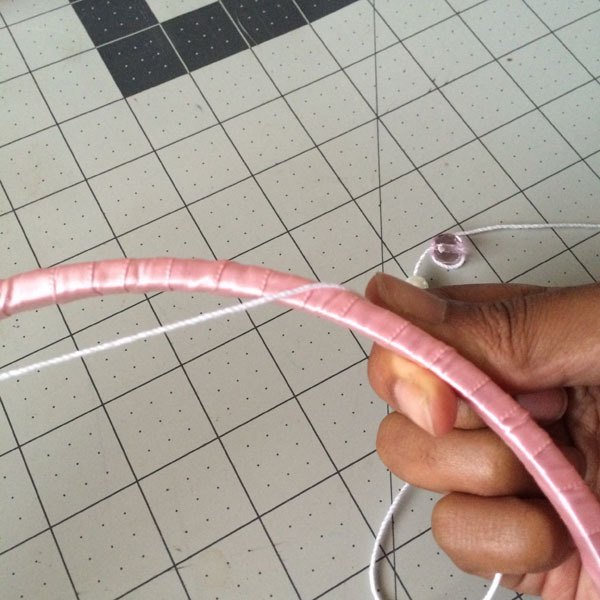 Next, take the string and bring it over the string that you just pulled around the hoop creating a small loop. Continue this process all the way around the hoop. Be sure to space these loops evenly apart. 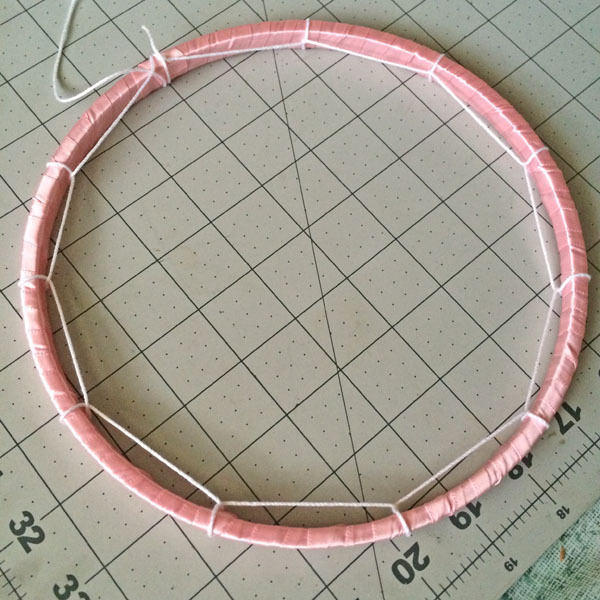 Once you’ve gone around your entire hoop once you will continue the same method, but you will be making your loops in the center of each line of string above it. 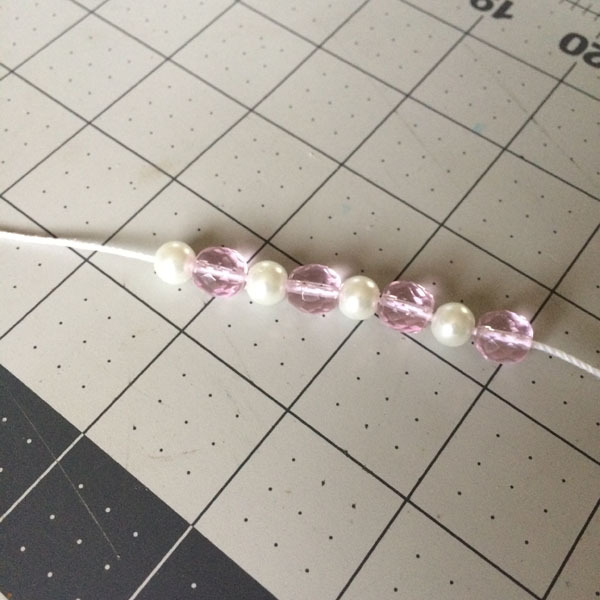 If you are adding beads leave one bead on the string prior to making your loop while pulling the remaining beads with the rest of the string. Continue going around the hoop until you reach the center. Tie the string off with a knot. 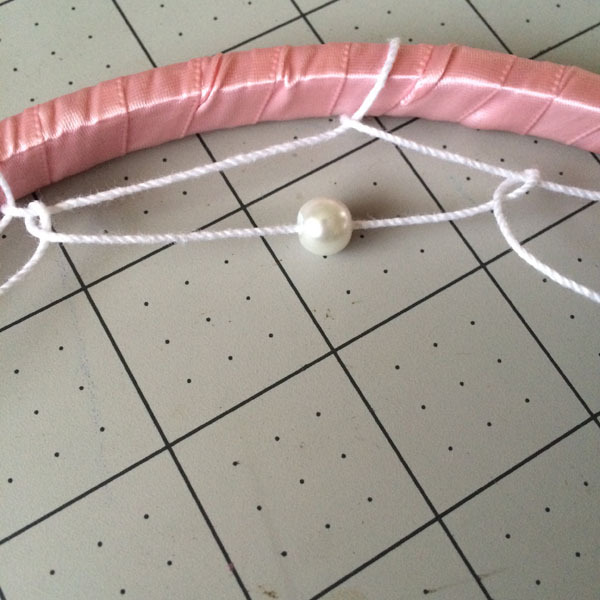 Clip the string short and you can even hot glue the string tail down to make it not as noticeable. 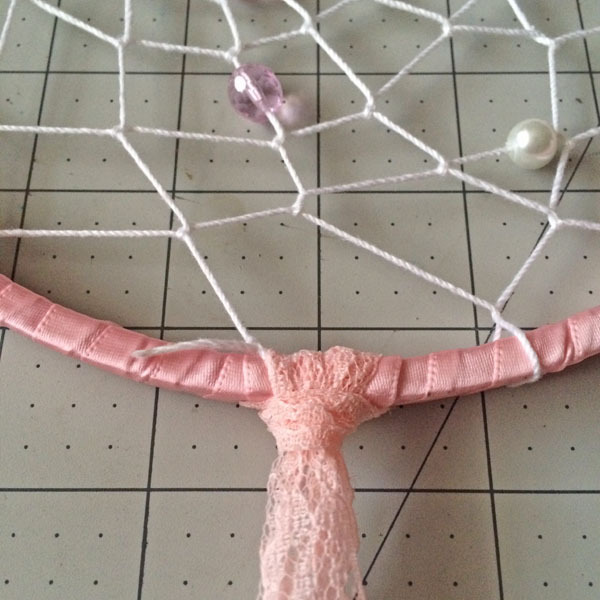 To decorate your dreamcatcher take some ribbon, lace, and any other trims you want to use and make slip knots to secure them on the dreamcatcher. 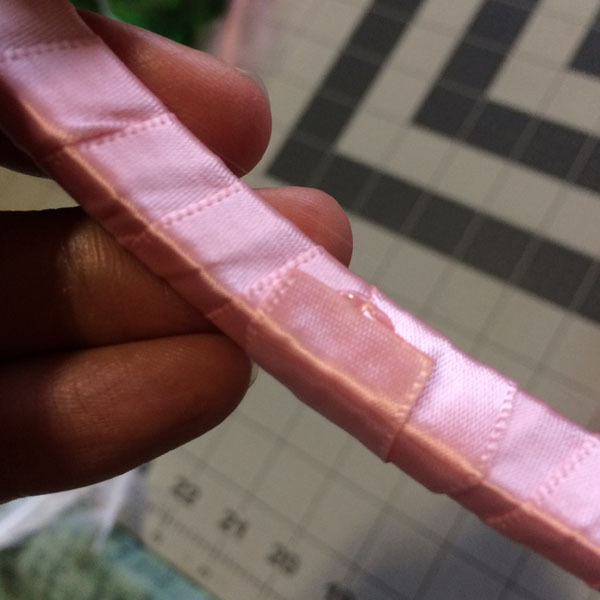 I also added a dot of hot glue to each slip knot to keep them in place. 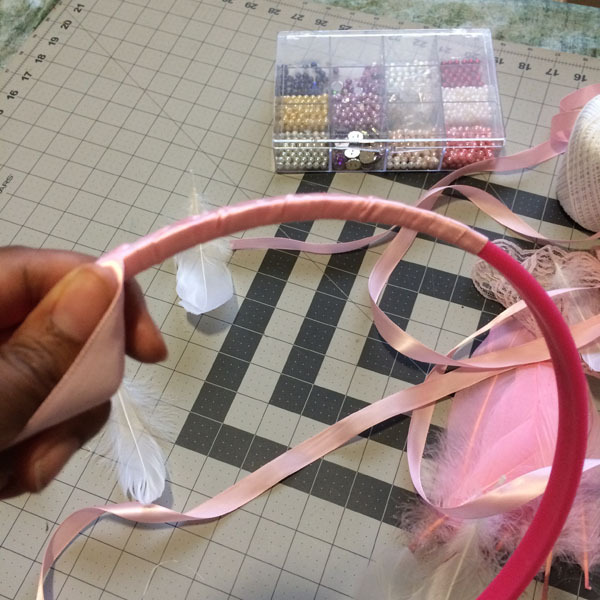 As you can see in the below picture, I put my trims on the end of the hoop where the beginning web knot is located so that I can hide it within all the pretty things I plan to decorate my dreamcatcher with! To add feathers I tied the string to the end of the feather and added some beads to the string. 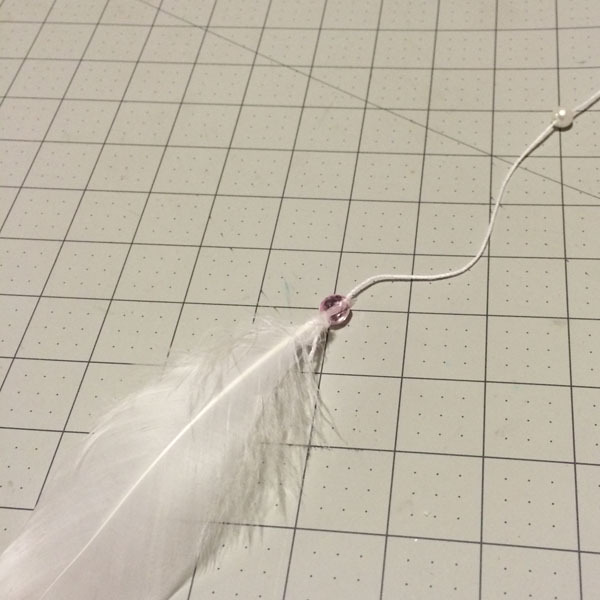 I then tied the feathers onto the dream catcher in different lengths. Once you are satisfied with your dream catcher you are done!